I was watching a documentary on Aljazeera last evening that gave me a wonderful surprise- can you believe elephants are afraid of bees? Jim Carey is right, size doesn’t matter. Well this is one of nature’s many unusual phenomenons. After seeing how elephants panic and run away when they hear buzzing of bees my heart went out to the coward giant. But the documentary was not intended at insulting elephants whatsoever, it was rather about how farmers in Kenya have used this weakness in elephant to defend their crop. Elephant is the last animal anyone wants to see in their fields because they are infamous for wiping off the entire harvest in a night. Kenya is home to a large population of elephants, which is good news for nature lovers but a very bad one for farmers whose only source of livelihood is their crop. They have been in continuous state of war for survival ever since the natural habitats of elephants were disturbed by the growing human population and developmental activities. Killing elephants is the only option the farmers had but that was illegal, and other option was to die of hunger. They don’t have the luxury of using electric fence like Bhutan (They don’t even have the power to light their homes). But out of the blue an idea came that is going to change everything. Now farmers are encouraged to do bee farming along with their usual crops. The bee hives are hung strategically around the field interconnected by a string that runs around the field like a fence. When elephants encroach into the farm they will touch the string, which will shake the bee hives and excite the bees. And you know that happens when elephants hear the bees buzzing- right they run for their lives. 1. Is the investment worth the return? 2. Is the method sustainable? 4. Is it safe for other wildlife? 5. Is it safe from humans? Bee fencing method will not only be the answer to all the questions but also give farmers sweet harvest of honey. It will defend them from elephants and also enhance their harvest with so many bees pollinating their crops. Solar electric fence might sound like a very green idea until you see the cost attached with it. After listening to Gunter Pauli, the founder ofBlue Economy, I admire what Kenyans have learned from nature. When will we do this? This Video explains Blue Economy! Sir, if I'm not mistaken, I read a news a long time back that Bhutan also started the same - rearing bee hives to guard the crops from elephants. In S/jongkhar or Gelephu I am not sure. I never heard of the use of electric fence in Bhutan. This is interesting. I wonder how it works. 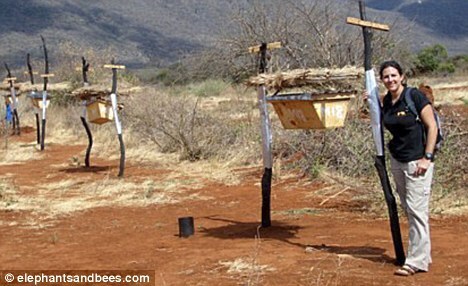 Kenyans are lucky to have those beehives hanged to save the crops from the elephants. 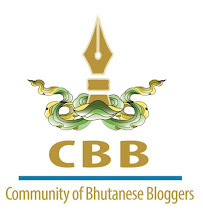 Let's wish for Bhutan some productive measure to control the elephants coming to the fields.